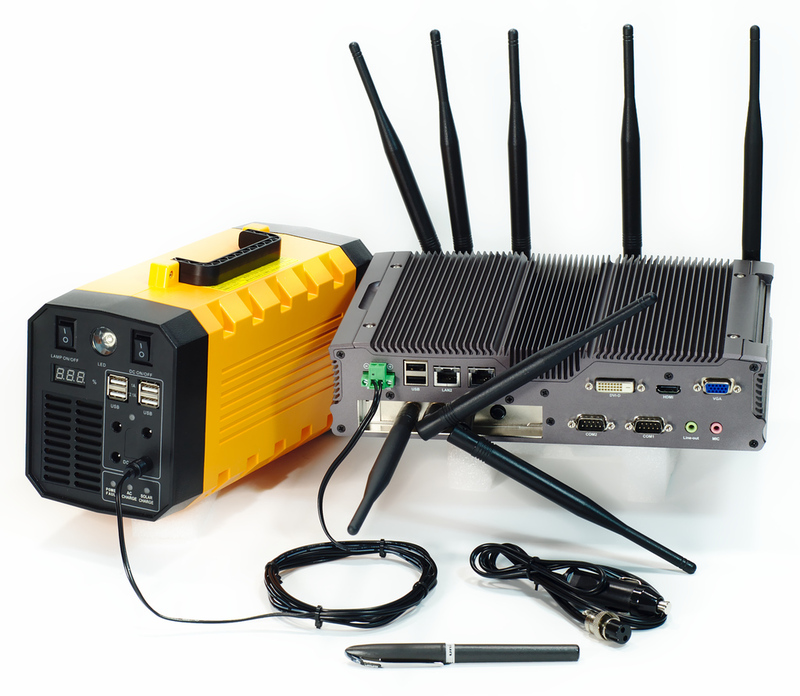 Doing any WLAN or wired network testing? 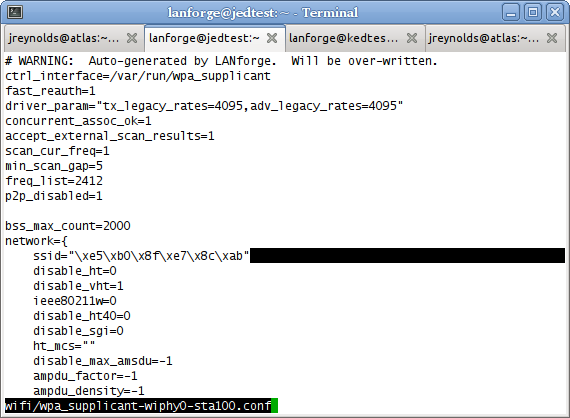 LANforge 5.3.4 provides RF interference patterns, Ath10K QCA9980 Wave-2 drivers, and testing scripts for automated WiFi capacity and captive portal testing. 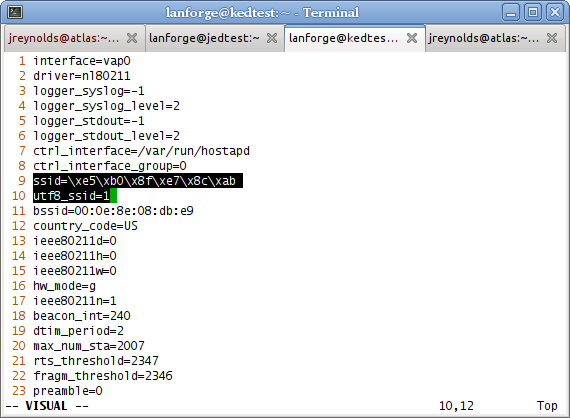 The display scan window will display the SSID as a byte sequence. 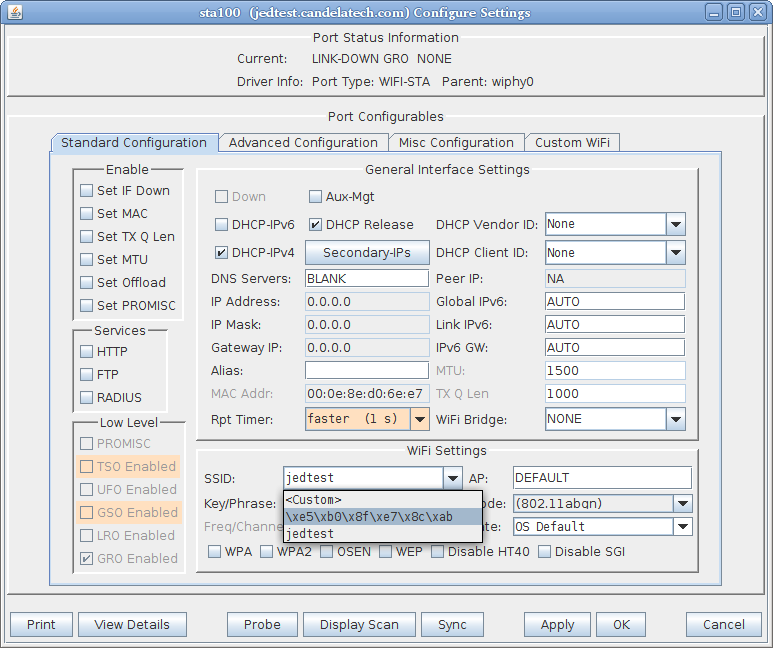 The SSID picker in the Port Modify will show the byte sequence after you click the DISPLAY SCAN button. Watch your Wireless Events log window for of station association messages. A station that continues to scan even if the SSID is shown in the scan windows is one that is not connecting. This is the right way to write the wpa_supplicant file, with the SSID escape sequence. Use the utf8hex script to get this byte sequence. We’ve just added a CT523 chassis with a 12-hour battery pack. Let us know if you’re interested! a big improvement in Layer-3 UDP performance with low level multi-packet sending. 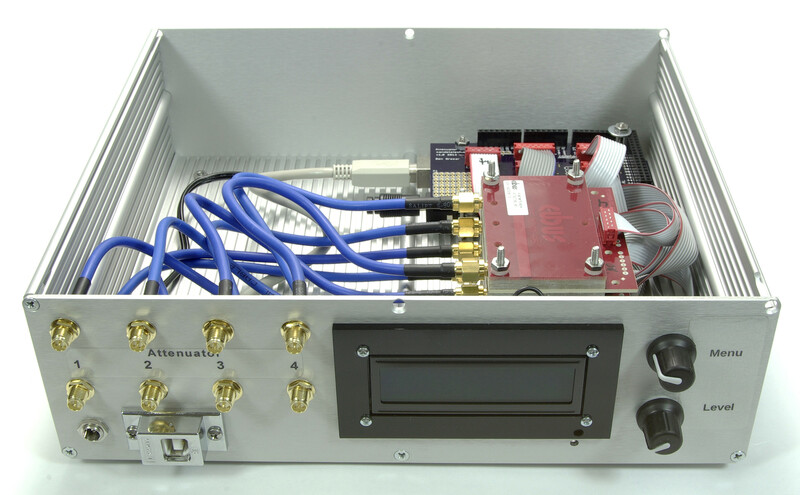 This allows our embedded appliances to emit almost 1Gbps of small packet UDP traffic! 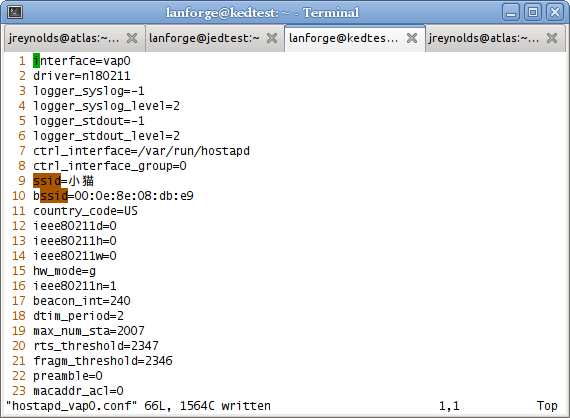 Better IPv6 support: router advertisement and dhcpv6 work smoothly in LANforge now. Here are the release notes for 5.2.13.